Miss AJ is starting four year old kindergarten in a month’s time – hold me! 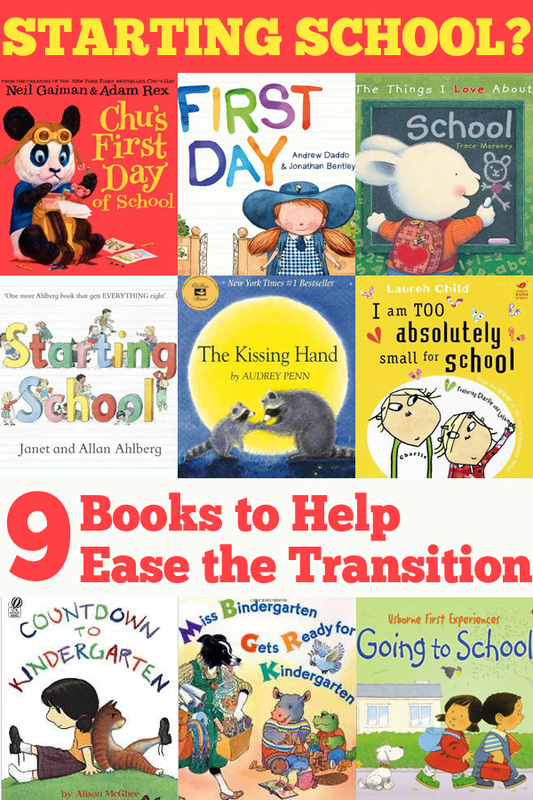 You all know I think books are a perfect tool for introducing children to new life experiences and so today I am sharing some of our favourite picture books that I hope will help your child, as they are helping mine, ease into big school! We love this book! The first day can be challenging for children…and for parents! The book explores all of the things children need to do each day to get ready for school and reinforces the message that Mum or Dad will be back – “the best bit about waving goodbye is the next wave will be hello” – with a fun twist. We are long time Charlie and Lola fans. With Lola (or rather her imaginary friend, Soren Lorenson) feeling nervous about starting school – after all, why does one even need to know how to count to 100 when one never eats more than 10 biscuits at a time? – Charlie does his best to reassure her that it will be lots of fun and she will make friends. And on her very first day she does indeed make a very special friend. Percy and Polly Peach are starting school and we get to spend the first day with them. A simple story, this book walks children through many of the experiences they will enjoy in a play-based, first years program – with the story taking us right from the time the twins are getting up and getting dressed, to meeting the teacher and having Mum stay for a little while, with lots of play, making things, music and story time before Mum and Dad come back to collect them again. In classic Ahlberg style, Starting School helps to answer lots of the common questions young children have as it follows a group of children through their first term of school. My girls have both loved the audio version of this story and I am pretty sure it is because of the lovely rhythm of the text. As Miss Bindergarten gets ready for her children to come to class, the kindergarten students are also preparing for their big first day. Chu, the panda with the big sneeze is heading off to school for the first time. He hopes the other boys and girls will be nice. Will they like him? What will happen at this strange new place called school? And what will happen if Chu sneezes? There are lots of rules in school. But what if you can’t tie your shoelaces? Because that’s a rule too. Countdown to Kindergarten explores the anxieties of a little girl who is about to start kindergarten in the 10 days before classes start.Will she be the only one who can’t tie her shoes? Each title above is linked to a purchase (affiliate) link where you will also find reviews and more information about the book. As always I recommend reading reviews and checking out the previews of any books that you are unfamiliar with. If you have a child starting preschool, kindy or big school this year, you might like to check out the series of Starting School posts.